By purchasing items using the links on this page you are helping to fund the future of this website and the further research involved. Many, many thanks in advance for your support. From the coastal lowlands to the mountainous hinterland, Aberystwyth is the setting for this brand new 4 part drama series, as seen on S4C and the BBC. Into this remote corner of West Wales steps DCI Tom Mathias (Richard Harrington), a brilliant but troubled man, solving crimes in a town full of secrets as dark and destructive as his own. Blood, soil and belonging - this is Hinterland. 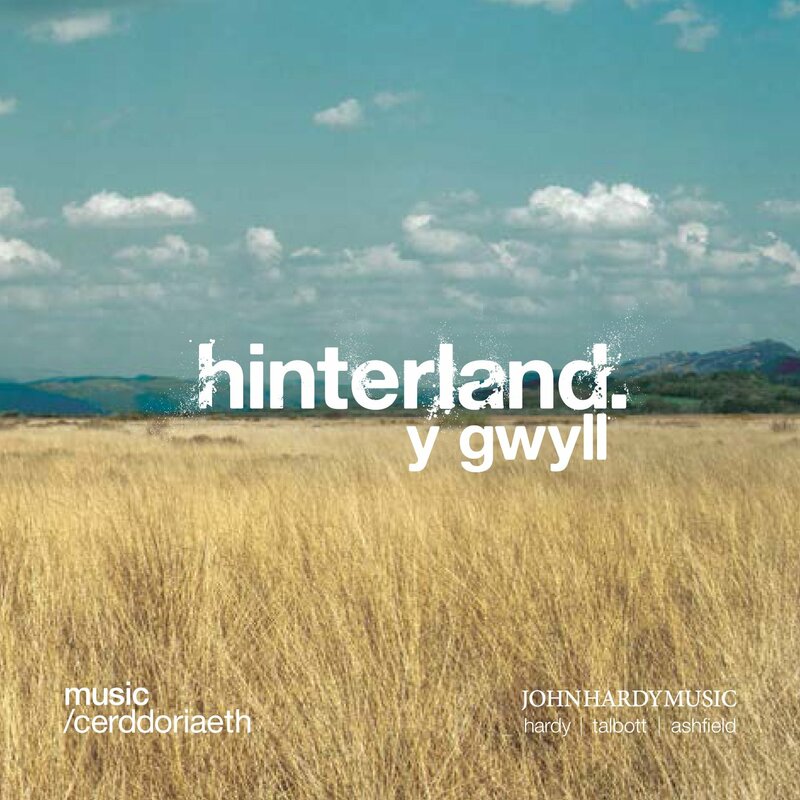 This edition contains the hybrid version of Hinterland (English with small snippets of Welsh). O'i arfordir gwyllt i'w mynyddoedd unig, Aberystwyth yw lleoliad y gyfres dditectif newydd sbon yma a welwyd yn gyntaf ar S4C a'r BBC. 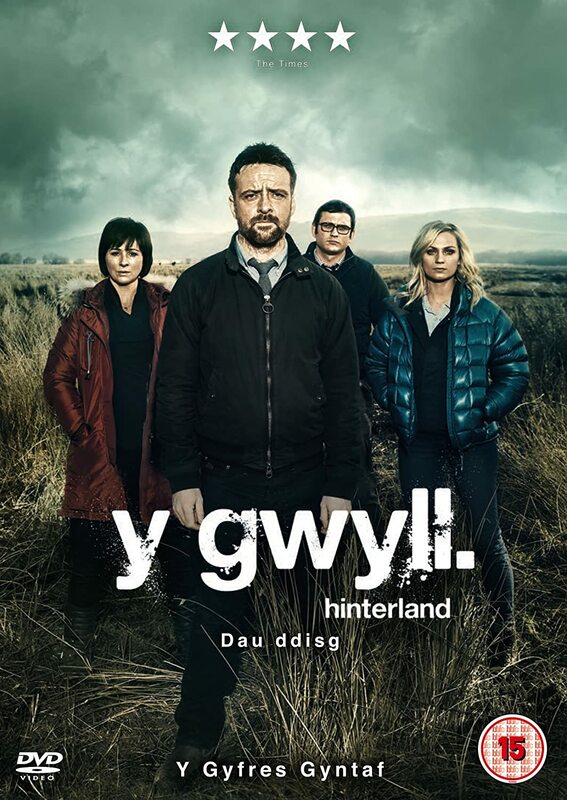 I'r byd yma y mae DCI Mathias (Richard Harrington) yn camu. Dyn disglair ond llawn gofidion, yn datrys troseddau mewn tref sy'n llawn cyfrinachau'r un mor dywyll a dinistriol a'i rhai ef. Gwaed, pridd a pherthyn, dyma hanfod Y Gwyll. This edition contains Welsh language with English subtitles. 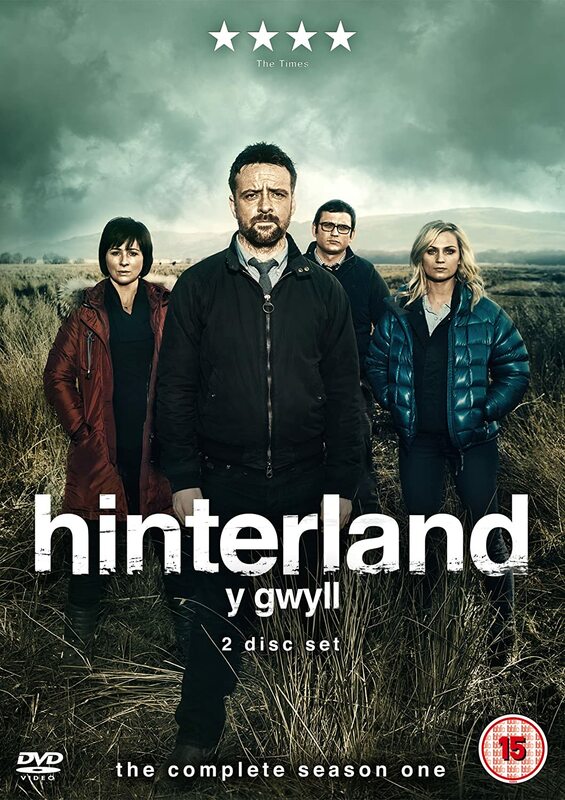 The soundtrack to Series One of Hinterland / Y Gwyll, the acclaimed detective drama inspired by the communities and landscapes of Wales, filmed in English and Welsh versions across the coast, countryside and streets of Abersytwyth. Stars Richard Harrington as DCI Tom Mathias. All music for the series is by John Hardy, in collaboration with Benjamin Talbott and Victoria Ashfield.